There’s a credible chance that the ruling FRELIMO party that’s been in power since Mozambique’s 1975 independence could lose this October’s general elections as a result of a multibillion-dollar corruption scandal that might have inadvertently worsened the humanitarian consequences of the country’s recent cyclone tragedy. 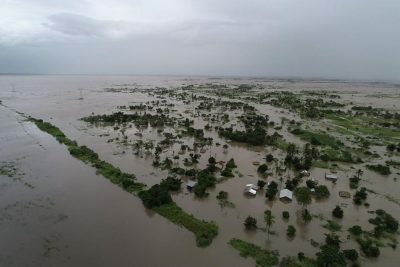 90% of the fourth-largest Mozambican city of Beira was destroyed as a result of Cyclone Idai which ravaged the country less than two weeks ago, with the international community extremely worried that the death toll in one of the world’s poorest countries might exceed 1,000 and possibly be much worse than expected in the long term if many more die from disease and famine in its aftermath. Mozambique was totally unprepared for this natural disaster, not least because of its war-torn civil war past which impeded national development for decades, but its humanitarian consequences might have inadvertently been made worse by a multibillion-dollar corruption scandal that saw politicians stealing upwards of $2 billion through a system of fraudulent international loans from a country where the average person only makes slightly more than $400 a year according to the World Bank’s official 2017 estimate. The only reason why Mozambique was able to procure the loans that it did was because of its copious offshore gas reserves that are poised to be extracted by two US-based energy companies and which gave naïve international lenders confidence in its ability to pay back its debts. While it would be amiss to directly attribute the increasing death toll from Cyclone Idai to the corrupt members of the ruling FRELIMO party that’s been in power since Mozambique’s 1975 independence, it’s hard not to imagine how differently everything could have unfolded had the authorities invested some of the $2 billion that they defrauded into national development programs and disaster relief supplies in the event of an emergency such as this one. Moreover, the cascading effect that this massive corruption investigation’s public revelation had was that international aid groups became reluctant to continue contributing to the country, further compounding its current difficulties. FRELIMO is in the process of progressively implementing a peace deal with the RENAMO opposition and former rebel organization that will see its rivals gain gradual control over some state apparatuses after decades of fighting against the government and alleging fraudulent elections that they say unfairly deprived them of power, and it’s also simultaneously working to suppress a rising terrorist insurgency in the northern region which is “coincidentally” in close proximity to its offshore gas reserves. Both of these security issues present their own challenges, but they also collectively contribute to the larger impression that the ruling party is under unprecedented pressure following its corruption scandal and that voters might finally opt for a change of leadership during the October 2019 elections given all that’s happened thus far. In fact, that development would perfectly correlate with the larger trend of the decade-long “African Spring” that’s seen the removal of entrenched parties and power structures. That outcome could nevertheless be partially offset, however, if FRELIMO is successful in courting substantial international aid from its main South African, Indian, and Chinese trading partners (in that order) and convincing the public that the corruption scandal isn’t due to the party’s nature but was just the fault of a few individuals. While people might not believe the latter narrative, it might not matter much if New Delhi and Tokyo find a way to involve their joint “Asia-Africa Growth Corridor” (AAGC) in reconstruction efforts and/or Beijing does the same with what the author previously suggested should be the comprehensive aid program of “BRI-Aid”. In addition, the US might seek to make Mozambique a positive example of the efforts that it plans to advance through its so-called “Global Fragility Act” of comprehensively assisting fragile states like Mozambique in such a way as to institutionally embed American influence all throughout their state structures. FRELIMO is fighting for its political life ahead of this year’s general elections in a little more than half a year’s time, largely delegitimized as it is after decades of administrative mismanagement, disputed elections with RENAMO, and now a multibillion-dollar corruption scandal that might have worsened the country’s humanitarian suffering after the Cyclone Idai tragedy. The only thing that might be able to save it and convince the people to let them manage the country’s impending financial windfall from future LNG sales is if the public is distracted by tangible post-disaster aid that might flow into their communities from Mozambique’s top South African, Indian, and Chinese trading partners. Even that, however, might be insufficient to make up for years of underwhelming rule that could have infused the members of the population who don’t directly benefit from FRELIMO’s patronage system with deep-seated cynicism that they might unleash later this year at the polls.